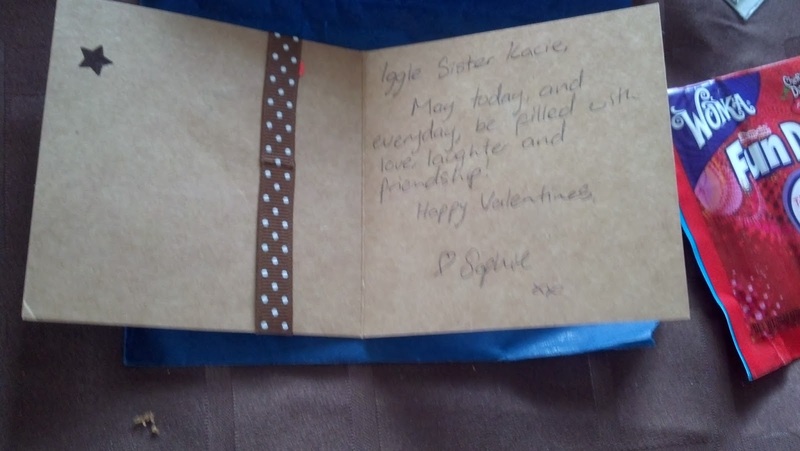 Items 1 & 2: Valentines from Fellow Iggles Sophie & Danica! Better late than never! Honestly, I doubt all of the V-Day cards I sent out exactly a week before Valentine's Day would have arrived to each person in time for the 14th, so I don't mind getting a few cards late. It keeps things interesting, after all! 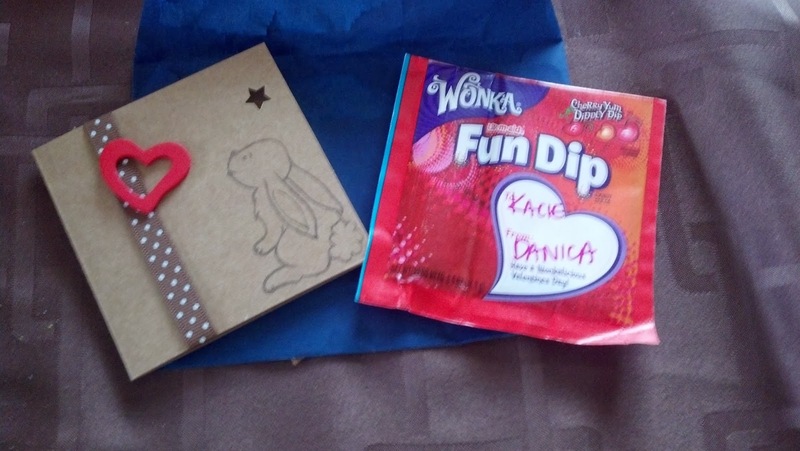 Plus, who am I, of all people, to say no to getting something nice (AND sweet) in the mail? In the card, she also called me an "Iggle Sister." Truth be told I thought that was really sweet. I'm surprised I never thought of that anymore; the IGGPPC is very much like a sisterhood, in so many different ways. I'd like to thank Sophie for making me realize that. On this day, I happened to be rather distracted, which certainly wasn't good since I had an assignment to work on that was due the next day. I managed to get it done with a couple hours to spare, don't get me wrong, but for a while I kept switching between analyzing The Saga of Grettir The Strong for literary components such as setting and imagery and looking at various stuff online, specifically things to purchase with my credit card. Full disclosure, my credit card hasn't been 100% paid off since December. That's mainly due to having done a lot of Christmas shopping, and my brother owes me for some gifts that we decided to split 50/50 for our mother. But I'll admit I keep picking things up and then being faced with having to pay it off gradually, such as my costume for Niagara Falls Comic Con and Fan Expo. On this night, however, I ended up making two purchases in particular. One was done on Black Sheep Lacquer, which I have mentioned in the past for being run by a very nice lady. 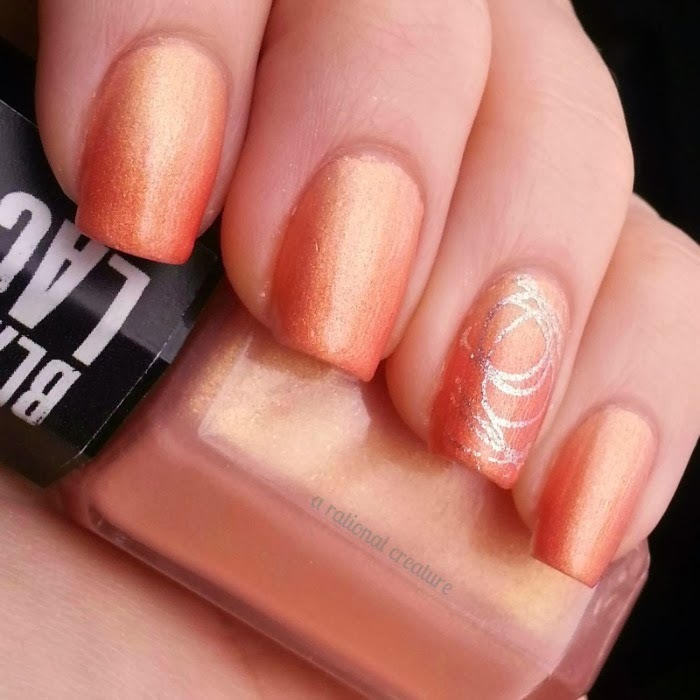 While I was in Wasaga Beach and I happened to be browsing on Instagram, I happened to come across a very pretty manicure picture taken by etourneau. 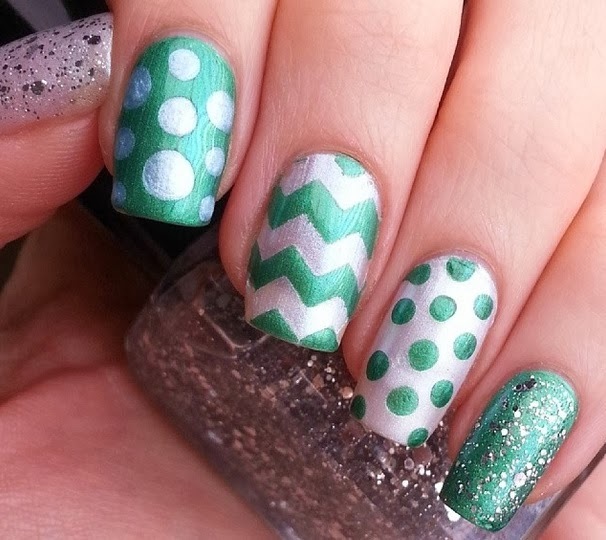 The green and white are from BSL, and I sort of fell in love with the idea of having a nice white polish like that. Plus I got the idea of finding my own nail stencils and trying out similar designs on my own, much shorter nails. Then I happened to look at the collection of polishes that my mom and I have collected over the years and realized that we didn't have any shades of green! That, I decided, would not do. And then I noticed a brand new thermal colour on the site, known as Tequila Sunrise, and it is of course my favorite colour - Orange! 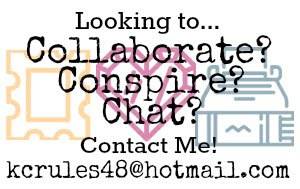 While browsing the site (and messaging the shop owner Erin back and forth to ask her questions), I came across her subscription service, offered to the US, Canada, and Worldwide. Since there were 3 polishes I was eyeing, I decided that it would be fun (and cheaper!) to subscribe! I get 2 large bottles (the white & green) and a mini bottle (this time, the Tequila Sunrise, because I was going to order a small size of that anyway). After that, I'll receive another package next month, which will contain completely different polishes! I'm rather excited for this, and I can't wait to show you all what I get. ALSO, I happened to buy a couple of swimsuits. I blame my email for this; I got a message from ModCloth about swimwear, found a cool suit that they only had 3 of left and a second cute one, and decided to purchase them. Now I've got a story to share here; I'm a bit of a ninny when it comes to attempting to get a good deal on things. My guess is this is derived from attempting to barter at conventions to get a better price and getting rejected straight up each and every single time. I joined ModCloth recently (after seeing some adorable dresses via @GeekyLyndsay), and received a $10 coupon with an order of $75+. Remembering this, when I went to order these swimsuits, I tried using the coupon code, but I then realized that it expired on the 10th. Thing is, I joined on the 3rd, and I thought it was kind of lame that the coupon only worked for a week. Telling my mother this, she said, "Get in touch with somebody on the site! Ask if the discount can still be applied!" I didn't like this idea - I didn't want to bother people just because I wanted to save some money. Maybe it's because I work in retail that I feel this way? Either way, my mom kept insisting. "It never hurts to ask!" she told me, a phrase I have heard countless times over the years, and have even repeated to others on my own. "These people want your business, I'm sure that they'll help you out." I was very happy about this :) I haven't really dealt with an instant chat feature on an apparel site like this before, and I have to say that I was rather impressed. It was enough that the clothes on the site are gorgeous, now I know that those working behind the curtain are very understanding and willing to help. I couldn't ask for more with regard to great customer service. My clothing order has already shipped, and I can't wait to receive my swimsuits. I might take a picture with the on, might, no guarantees. Until then, I'll keep you posted.